NextWould you like to work for a fantastic Company Who’s presence has Grown – and continues to Grow? 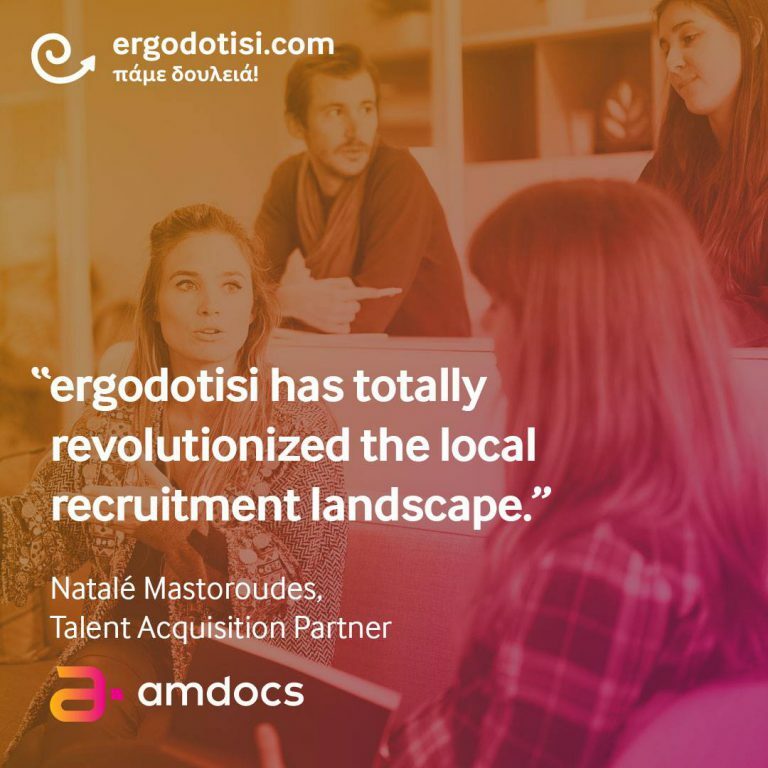 Ergodotisi has recently launched the “HR Sessions” series, where the greatest employers in Cyprus talk about their collaboration with Ergodotisi. Ergodotisi has recently launched the “HR Sessions series“, where the greatest employers in Cyprus talk about their collaboration with Ergodotisi, as well as their future goals. We decided to start with Amdocs, a leading software and services provider.